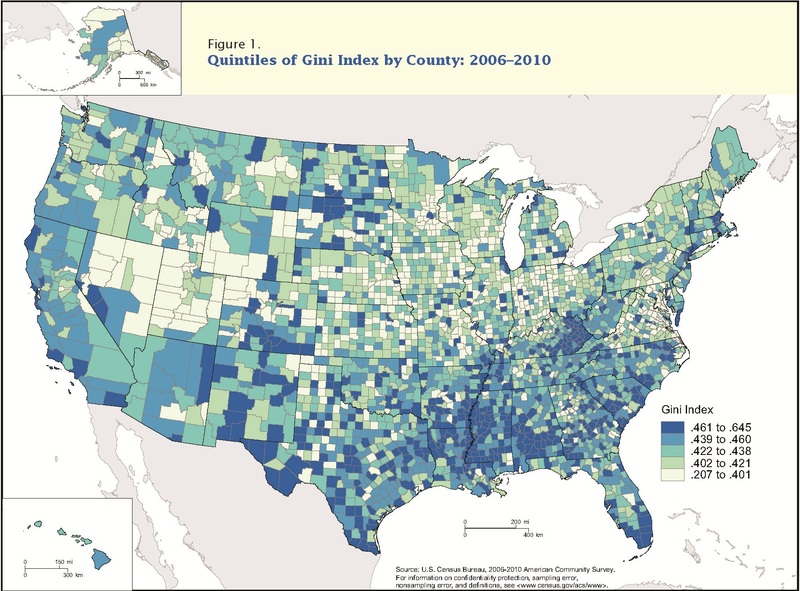 I recently across this map showing the Gini index by U.S. county, 2006-2010. I suppose one could squint hard at the image below to find your area. But I’d suggest downloading a large version over at Wikimedia Commons.